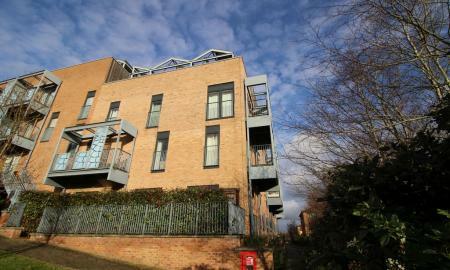 Close to the City Centre with a private roof terrace and balcony. 2 double bedroom, 3rd floor apartment offered part furnished. Open plan living/kitchen area with breakfast bar and access to balcony. 2 double bedrooms. Family bathroom. Secure underground allocated parking.